On Monday The English Apple Man met an old friend for a bowl of soup and crusty bread at The Bull Inn at Three Legged Cross in Ticehurst. Click on Rise Farm Fownhope for a review of my visit in 2010. Then scroll down to find Rise Farm. Climate Change - the challenge for Growers! Climate change is one of the most discussed topics...many see it as a 'man made' influence on our global weather, others see it as a 'natural cyclical' event....either way, we are living with a more volatile weather system, influencing changes in food production. The prognosis forecasts positive, as well as negative affects on climatic change; the only certainty is; 'nobody is certain' of the outcome! Chris Atkinson explored the reasons for climate change; the mechanism and the need for evidence of climate change. Recognising the 'Climatic factors is important to growers . 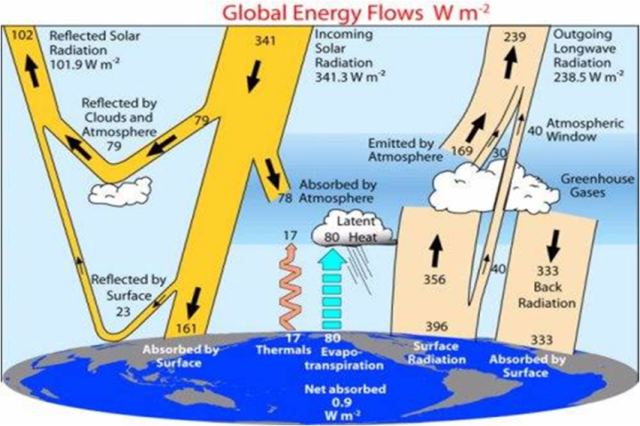 An overview of predicted changes in climate; temperature, radiation, rainfall and their interactions. What are the impacts? Can we predict the future? Impacts on crop development and yield - Focus on the importance of chilling! Take home message - Pattern of warm years - what's happened? 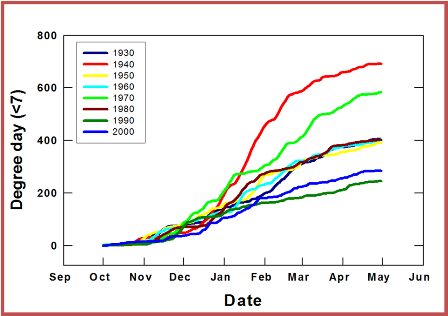 What are the likely climate changes? 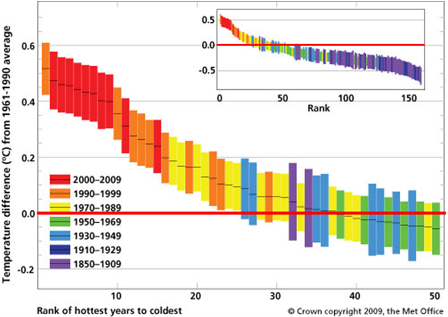 Climate has changed and will continue to do so - temperatures are increasing! These changes will influence the crops we should grow - its an opportunity! We need to understand climate challenges to the food supply chain and need to be proactive..
Understanding the variability is key to the future! Why are we interested in temperature? Flowering time is highly variable - Predicting flowering date is important - Synchronisation of pollination with pollinators important - Potential to protect against low temperature injury (frost) - Recommendations regarding chemical applications for Pest & Disease - Management of pollinators and pollinisers - Selection of low chill cultivars - Breeding for low chill cultivars; all these elements are integral to future production. The evidence of climate change is difficult to argue with; 'although many passionately, do' - the extremes of weather 'globally' will undoubtedly cause havoc, our UK weather may well give us the ability to grow more crops previously only possible in a Mediterranean climate. In the world of apples, the most popular and profitable 'global' variety; e.g. Pink Lady, will almost certainly be added to apples grown in the UK!